Here we are at the end of January in a beautiful new year. I’ve been tucked inside my house the last couple of days as US Midwest temperatures dropped below -20 degrees Fahrenheit (and much colder than that with wind chills…brrrr). 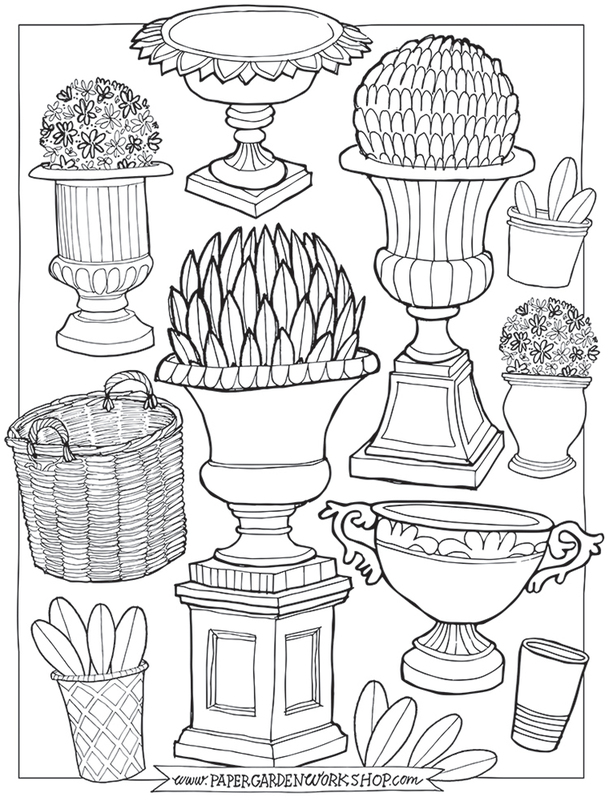 With hot mocha in hand I simply enjoyed the process of drawing a variety of garden containers for you and I to color. Please feel free to click on the image below to print a copy for yourself. Sometimes it’s nice to relish the serene of winter and let our minds dream of future garden excursions. Enjoy! A peanut butter and jelly garden? If you're interested in more articles like this one, plus would like to receive a free copy of my theme garden eBook, please sign up for email updates below. I respect your privacy and promise to not share your information…cross my heart.